 How to Keep the CRAY CRAY Outta Your Christmas! Gain immediate access to Steve Austin's Ultimate Holiday Stress Guide when you sign up for the free 10-day Christmas Challenge. Error submitting your email. Please fix the errors and try again. Most people look forward to the holidays with high expectations for family, friends, to enjoy the season. The holidays offer great foods, much needed time away from work, and the opportunity to reconnect with loved ones. It is perfectly acceptable to say no to the things that cause more stress than joy. One of the most common reasons that the holidays become stressful is the expectation placed on families who are sometimes overextended emotionally and financially. The added burden to provide big meals, give gifts, pay for travel, and overextend the budget feels like a heavy weight. Families begin to stress just about the time they are putting away the Halloween decorations. Despite the Hallmark Channel's insistence that families all love one another and that being together is all that matters, plenty of families are fractured, busy, and either unable or unwilling to live in harmony. The key to having a stress-less holiday is all about preparation and setting boundaries. Holding to a plan that allows for the fun parts of the season without setting the family up for failure is the best way to ensure that everyone has the best time possible, even if times aren't perfect. Join Steve Austin's FREE 10-day Christmas Challenge today!